Let’s say you take a birding trip to Upper Mongalute. While there you meet a friendly local who provides lots of good advice, and in fact helps you find the rare and endemic Lesser Upper Mongalutian Ditch-Babbler—though you’re unable to search for the Greater owing to a strike by disgruntled sampan captains. Now your friend is planning a trip to the United States and writes to ask for advice. He or she is not a person of wealth, depending for income on the volatile worldwide market price of cattail fluff, Upper Mongalute’s only export crop. This is a one-time-only visit, with no money for jetting around our vast country. What single place, your foreign friend asks, should I visit? Why, eastern Texas, of course. Fly Air Mongalute to Houston, rent a car, drive down the Gulf Coast to the Rio Grande Valley, make a swing back through the Hill Country, and there you have it: our best birding. California may have marginally more species than Texas on its state list, but who would wish its freeways on any visitor? Especially an Upper Mongalutian, to whom two yaks in a pack constitutes a traffic jam. And yet . . . and yet many of us, asked to pick our favorite birding area in the United States, would choose not eastern Texas but southeastern Arizona. The Texas coast and the Rio Grande Valley are great for birds, but—how can I put this delicately?—they’re ugly. Oh, sure, you can find pockets of prettiness here and there: a deserted Padre Island beach, say, or the semitropical forest of Santa Ana National Wildlife Refuge. But the birding sites are set in relentlessly flat terrain, separated by undistinguished stretches of highway and suburbanization. Southeastern Arizona, on the other hand, would be beautiful even if Elegant Trogons weren’t lurking in every other canyon and a dozen hummingbird species weren’t buzzing feeders. It’s the kind of beauty that pays off for birders, with low deserts and 9,000-foot mountains and all the life zones in between. It’s wonderful to experience the sights and sounds and smells of the Sonoran Desert at dawn, but it’s even more wonderful to be able to escape to a pine-fir forest for lunch. When I was six, crazy about birds and to a lesser extent—say, only slightly deranged—about lizards and snakes, my family drove 1,000 miles west to visit relatives in Tucson. The transition from eastern deciduous forest to mesquite and then to barren rock, seen through the windshield each day, made a big impression on me. So did the saguaro desert (could the surface of Mars be any more exotic?) and the horned lizard I temporarily corralled on the grounds of San Xavier del Bac Mission (who wants to look at an old church when critters like this are around?). My eyes opened widest, though, for a male Western Tanager, a sight that confirmed once and for all that birds were just the coolest things on earth. The trip served as a kind of entry point for infection, for the chronic feverish conviction that travel, and especially travel to see birds and experience new environments, is one of life’s greatest pleasures and rewards. And, of course, it hooked me on southeastern Arizona. It was 16 years before I went back, and this time I knew a little more—i.e., about half of what, at the age of 22, I thought I knew. I was visiting a friend who had temporarily moved to Phoenix, but I made time for Papago Park, South Mountain Park, Tonto National Forest, the Arizona-Sonora Desert Museum, and a quick trip up the Catalina Highway to the top of Mount Lemmon. I had to buy the Robbins Birds of North America to supplement the eastern Peterson field guide I’d had since my toddler days, because this was my first real birding trip out West. I barely skimmed the surface of the avifauna, but at the time it seemed that a treasure chest had opened, releasing birds such as Phainopepla, Lawrence’s Goldfinch, Abert’s Towhee, Yellow-eyed Junco, White-throated Swift—even Common Raven was a new and thrilling addition to my list. Nine subsequent visits (until I looked at my records, I didn’t realize I’d been back so many times) have by now taken me to most of the regional hot spots. As time passed, I was looking for specialized species in the more obscure places, as opposed to the cornucopia of lifers I got from my first visits to the top of the Chiricahua Mountains and Patagonia-Sonoita Creek Preserve. But the attraction of a place has to be based on more than just adding species to a list; the rule of diminishing returns takes care of that. I think there are quantifiable reasons, not just personal whim, why southeastern Arizona ranks as my favorite. It’s big enough, but it’s not too big. At about 140 by 75 miles, southeastern Arizona is a lot more manageable than the Texas Gulf Coast and the Rio Grande Valley, yet there’s plenty of diversity here to fill a week-long birding vacation. This is true whether you take time for long hikes in beautiful places like Madera Canyon or you zip around in a car from one boldfaced highlight site to the next. In the latter case, quick drives link dozens of excellent spots, and even the extremes of the region aren’t too far apart. To call up one memory: you can see Five-striped Sparrow at California Gulch in the morning, be at a motel in Green Valley in the afternoon, hear about an out-of-season Costa’s Hummingbird at Portal, and make it over there before dark—and get two Calliope Hummingbirds in the deal, too. Once I was on a trail at Madera Canyon when an accipiter zoomed past. Out of nowhere—actually from around a bend in the path—I heard a voice ask, “Was that a sharpie or a Cooper’s?” I had no idea, but the voice belonged to a hot-shot visiting birder who knew the area far better than I did, and who pointed me (and in a couple of cases guided me) to my first Arizona Woodpecker and Cassin’s and Rufous-winged sparrows. I’ve had that too-crowded, High-Island-on-a-spring-weekend or Santa-Ana-in-March experience only once in Arizona. One August a group of us went to the Beatty’s Miller Canyon Guest Ranch in the Huachuca Mountains to check the renowned hummingbird feeders. Unbeknownst to us, the state’s first Short-tailed Hawk had just been reported from Miller Canyon; you can imagine the resulting scene. We saw great hummers (White-eared and Lucifer!) and, boy, did we meet some famous birders. It’s unique. Yes, all of America’s natural divisions and ecosystems have distinctive features, but admit it: there’s really no place like the Sonoran Desert. Maybe it’s not Mars, but there’s an almost otherworldly feeling about walking among giant saguaros, especially in places where vast stands climb from lowlands to wrap around foothills, as they do at Saguaro National Park’s Rincon Mountain District east of Tucson. You can take a day trip from desert to conifer forest in California, but southeastern Arizona has something else to set it apart: the summer storms locally called monsoons. Two distinct rainy seasons, one in winter and another in July and August, have created seasonal adaptations in some bird species. The beautiful Montezuma Quail forms pairs in late winter but delays nesting to take advantage of more abundant food after the monsoons, which also stimulate singing and nesting of Five-striped, Cassin’s, and Rufous-winged sparrows. A large part of the population of the sought-after Elegant Trogon waits to nest until June and July, as do Sulphur-bellied Flycatchers, among other local breeders. This means that midsummer, a slow birding time in much of the country, is a good time to visit southeastern Arizona’s desert. The monsoons that create this seeming paradox have to be seen to be believed. Frightening in their intensity, they materialize out of night-dark clouds that suddenly appear and pour a fantastic amount of rain, like someone turned on a giant showerhead in the sky. They disappear just as fast, leaving blue sky as if nothing had happened. I did mention, didn’t I, that it’s beautiful in southeastern Arizona? Admittedly, this assertion comes with an asterisk and a disclaimer: your experience may vary if you don’t share my belief that the desert is a lovely place—not just the saguaro stands but the scrub flats covered in ocotillo, acadia, creosotebush, palo verde, and other cacti such as cholla and prickly pear. If that’s the case, just move on to the grassland of Buenos Aires National Wildlife Refuge, the riparian canyons of the Huachuca Mountains, or the forests of pine, Douglas-fir, spruce, aspen, and oak in the Chiricahuas, where Mexican Chickadees and Olive Warblers nest among bizarrely shaped volcanic rock formations. It took several years of false starts, but public and private groups have developed a Southeastern Arizona Birding Trail and accompanying map, available locally and from SABO. (The observatory’s web site, www.sabo.org, offers excellent birding advice for the region, as well as its own clickable map of birding spots.) Williamson says that, with birders’ low profiles as travelers, it’s hard to say whether birding tourism is increasing in the area. “What I do see is that new sites that have recently come onto the birders’ radar are getting higher and higher visitation,” she says. “It’s not that you can get bored visiting places like Madera Canyon, the San Pedro River, or Cave Creek Canyon over and over again. It’s that when people hear about a new place, that instantly sparks their imagination. Originally from Texas, Williamson admits that the Gulf Coast and the Rio Grande Valley still place high on any birder’s wish list of destinations. But she’s a complete convert to her adopted home. “This area just has so much, it’s so diverse, that even with my living here and going to the same places all the time, it’s hard for me to contemplate being away during those spectacular times of the year: late April and early May, anytime in August and early September, and even in the middle of winter with the Sandhill Cranes and the birds of prey. All things considered—and despite my personal bias—I’d probably still recommend that your Upper Mongalutian friend choose the Texas coast for that hypothetical one-and-only birding trip to North America. But it wouldn’t hurt to check and see if Air Mongalute has any special fares to Tucson, too. 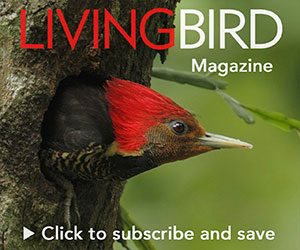 Receive bird news, tips, and information about Lab projects. 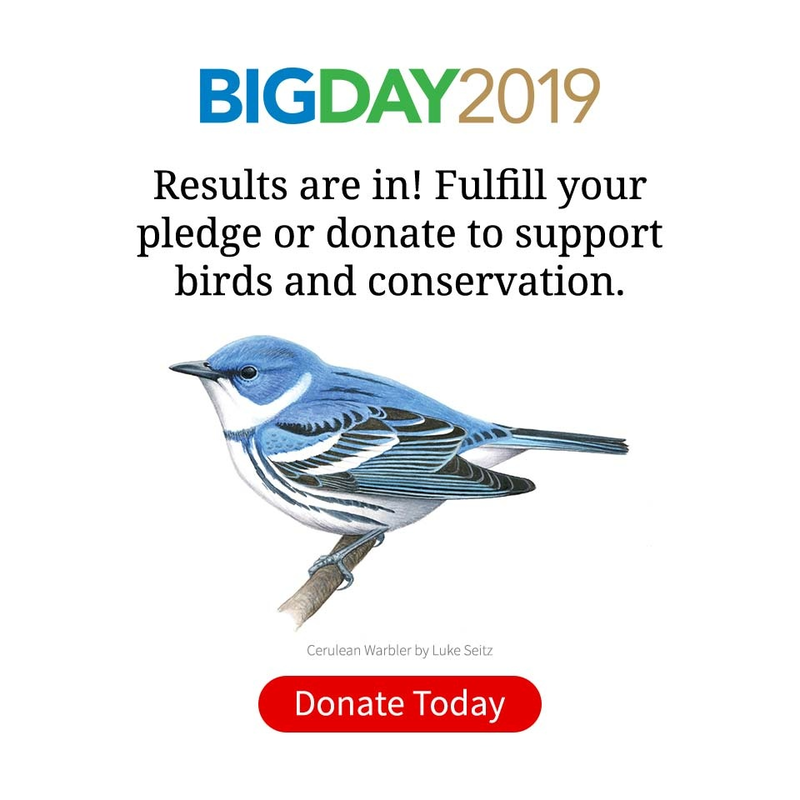 The Cornell Lab will send you updates about birds, birding, and opportunities to help bird conservation. You can unsubscribe at any time. We will never sell or give your email address to others.